Got a fintech idea you’re dying to turn into reality? 1337 Ventures, in collaboration with MDEC and InnoStart Capital, will be launching their accelerator programme, Alpha Startups: Fintech Edition, this July. The Alpha Startup: Fintech Edition, which runs quarterly, accepts applications from startups of all stages, even those who are still at the ideation stage. The programme will teach you the ropes of entrepreneurship, starting your journey with the Lean Canvas, Market Validation, MVP Testing, User Experience Journey, Design Thinking, and Marketing. 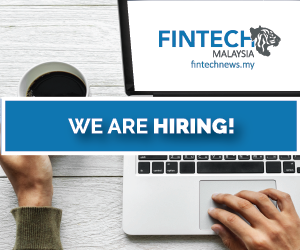 It’s no secret fintech space is heavily regulated in Malaysia, In order to equip entrepreneurs with the necessary knowledge of fintech regulations in Malaysia, 1337 Ventures will be partnering with major banks, such as Hong Leong Bank, RHB, and Maybank. This programme is also suitable for those who have yet to formulate an idea but are genuinely passionate about making an impact in this space. 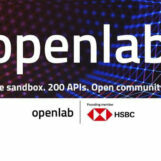 1337’s partner banks have provided them with their top problem statements that can provide participants a roadmap to navigate commercially viable ideas. After the 4-week long programme, a Demo Day will be held to select the top 3 teams that will receive early-stage funding of RM50,000. InnoStart Capital will grant an additional RM75,000 to the top startup of the programme, which will enable the winning startups to turn their MVPs into working products. Beyond funding, the top 3 teams will also be granted extra benefits, running fintech startups are a costly endeavor with infrastructure maintenance cost becoming increasingly high, which is why the team at 1337 Ventures has made some key strategic partnership to provide top startups with US$ 15,000 AWS credits, US$ 20,000 worth of Google Cloud and Firebase Credits and US$ 120,000 in Microsoft Azure credits to kickstart your initial product development. Alpha Startups have successfully graduated top startups all over South East Asia. Some notable graduates of Alpha Startups are Funding Societies, who raised SG$10 Million from Sequoia Capital in under 12 months after completing Maybank Fintech (Alpha Startups) and is one of the top performing P2P lending platforms in Malaysia. Another notable graduate is live music booking startup Gigfairy that went from idea to acquisition in just 12 months. Gigfairy has since been acquired by Tune Studios and BAC Ventures.